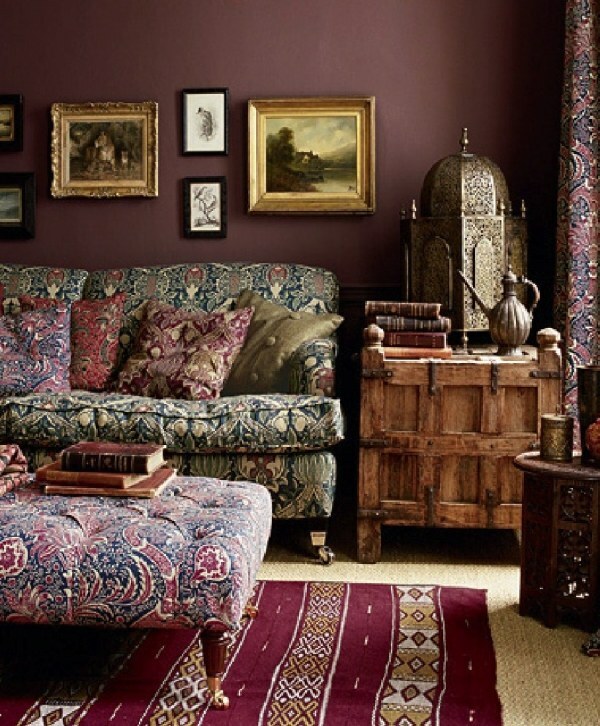 No matter what decade it is, the Boho Chic look will never go out of style. I personally love pepping up my wardrobe with bright colorful scarves, distressed denims, gladiator or fringed footwear and sporting the braided & twisted hairdos. So naturally, somewhere, it has touched my sense of interior styling too! 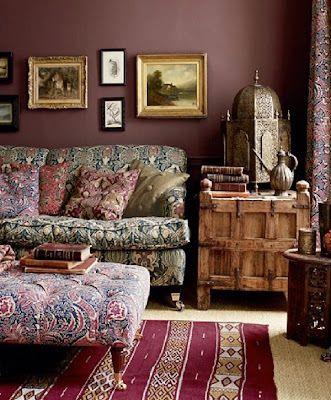 Keeping the title of today’s post in mind, I have compiled some home designs which caught my eye lately. This view is such an eye candy and yet this look is so easy to get! 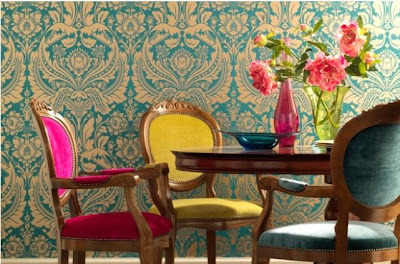 All you need is to dress the walls of the room in a turquoise blue wallpaper and change the cloth on your dining chairs to a contrast perky colour or a different colour for each if you are willing to experiment. 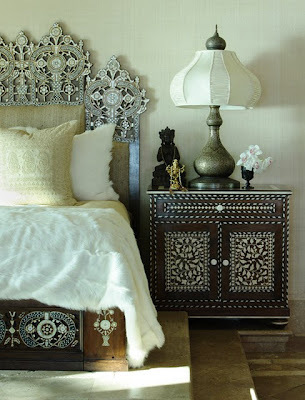 Such detailed design on the furniture is best matched with simple linen/ upholstery and accessories in subtle and conservative shades, just like in this bedroom. The 2 most popular colours used to create bohemian looks are orange and turquoise blue. 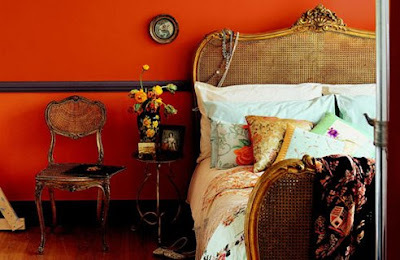 The invigorating orange in this bedroom goes very well with the vintage style bed and chair. 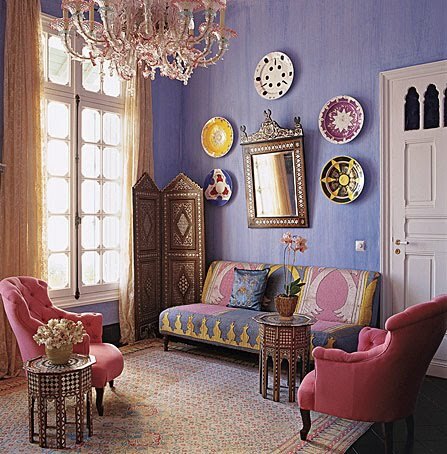 And here come our Boho Blues!! Now if your bathroom looks Plain Jane to you, don't fret. 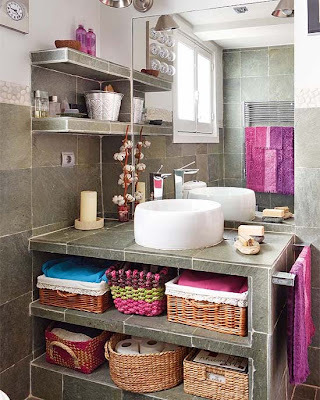 Just add curtains, towels, toiletry holders and some scented candles in vibrant colours to perk it up Boho Style! I liked the last image the most.....and ofcourse the good bye in Czech. Na shled nou.....Oye Naa ched ainu.